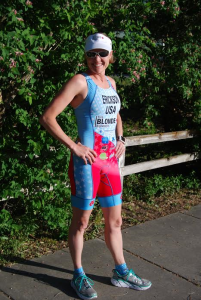 Come learn how to do triathlon transition properly, get tips and ask questions about racing from an experienced USA Triathlon All-American nationally ranked triathlete and certified coach. We will review proper transition basics, cycling tips, distance running, and racing tips will be shared. Race nutrition will also be touched on. Come join in the fun at this enthusiastic presentation! Coach Lora Erickson is a passionate athlete with over 24 years of coaching experience. As a Mother of 4 she understands how to fit training into a busy family life. She offers on-line and in-person coaching.